Brainwashed - Asmus Tietchens & Terry Burrows, "Watching the Burning Bride/Burning the Watching Bride"
Asmus Tietchens & Terry Burrows, "Watching the Burning Bride/Burning the Watching Bride"
As Die Stadt's brilliant reissue campaign nears its end (it looks like about two more remain in the 18 disc series), this double disc compilation covers the first and fourth collaborations Asmus Tietchens had with UK artist Terry Burrows, the first album from 1986 (Watching the Burning Bride) and its 1998 reworking (Burning the Watching Bride). The earlier album is perhaps the most fascinating, as it clearly captures both Tietchens' early synth-heavy rhythmic style (the Sky and Discos Esplendor Geometricos eras), and heralds the more abstract direction his work would soon take. Watching the Burning Bride is the first of four thematically linked works, with volume two being Tietchens’ Abfleischung (a previous release in this campaign) and the third Burrows' The Whispering Scale, all of which shared similar artwork and shared source material and instrumentation. The collaboration that produced this album is one rarely needed these days: postal mail. The two would record their own parts as source material, and then ship off to the other to rework. The contrast between the two artists is also a major facet: by this point Tietchens had been recording for around two decades and had built a rather technologically advanced studio with Okko Bekker, while Burrows was young and early in his career, producing most of his recordings on an 8 track in his bedroom. The final product of these two very different working conditions is a seamless blend, however. Some of the songs clearly show the mark of Tietchens' early 1980s sense of rhythm: "Bride 2" (each piece was originally represented by an abstract symbol, here they are numbered) is a short bit that builds up to the industrial-ish sound he cultivated on his releases on Esplendor Geometrico's label before falling apart very quickly. "Bride 10" also features this similar sense of rhythm, lurking more beneath a reverberated sci-fi soundtrack sound that heralds the more abstract works that Tietchens would later be involved in. Some of these pieces also bring up directions that Tietchens and Burows could have gone in, but did not. On "Bride 4," heavily featured is Burrow’s then-new DX7 synth and, surprisingly enough, drums. The song comes together almost like a very strangely produced John Carpenter or Goblin soundtrack that is painfully too short, with the following piece running with these elements and putting them together in a more abstract, more disturbing framework. "Bride 12" is similar in mood, but not in approach: a collage of rattling spring reverb and metallic clanking that somehow gels into a strangely melodic piece. There are a few bizarre moments to be had on this album as well, and I mean that in the most positive of ways. 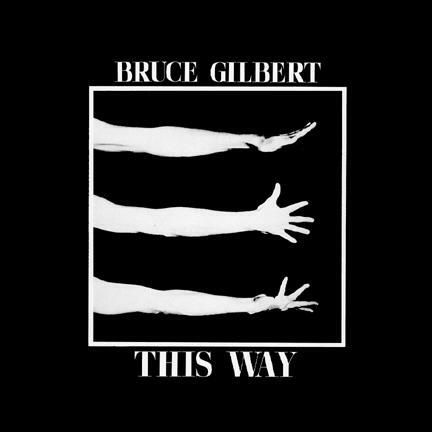 For "Bride 7," Tietchens’ vintage drum machine and synths form the basis, with the addition of dubby bass guitar and actual vocals from Burrows, although limited to the span of only two minutes. Tietchens himself is responsible for the addition of some female vocals (a tapeloop of "some hippies singing" according to the liner notes) on "Bride 6," giving a bit of unlikely humanity within the distant clanking and distant, droning space. Two bonus songs are appended to this disc, "Torso 1" and "Torso 2." Apparently these are some of the untouched source materials used, and they are rather strange combinations of noisy orchestra hits and cheap MIDI drum programming. 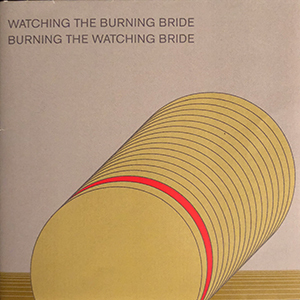 Burning the Watching Bride appeared some twelve years later, with each artist taking one side of the album and reworking the material based on the newer technologies available to both artists. Burrows’ side, "Bride 23" (the numbering continues from disc one) takes the form of a single 23 minute composition that utilizes all of the elements from the album, with some tasteful processing and treatments. The final product is in some ways reminiscent of a "megamix," keeping some elements original while adding new sounding effects, but it comes together like a completely consistent composition. Tietchens' half of this album is closer in structure to the original, being a sequence of five shorter, more diverse sounding works. "Bride 18" is rather consistent with his later 1990s work: swirling electronics and hints of dark ambience, peppered with the occasional beep or reverberated noise, but otherwise solid and sustained. Both "Bride 20" and "Bride 21" keep these elements but Tietchens allows more of Burrows' original FM synth work to come to the forefront, at times buried under a nice filtered drone. The fourth especially showcases them, again taking on a more soundtrack-like feel that balances sound and space exquisitely. I have always favored Asmus Tietchens' 1980s work that was not far removed from the world of industrial the most, so I cannot help but love Watching the Burning Bride most, although admittedly the short, vignette style of song was at times frustrating, since I felt they ended too quickly. In some ways Burning the Watching Bride ends up being a victim of its time, since those early Protools style experiments and processing lack the same level of innovation and humanity as the older, more primitive works have. It is still a very strong album though, even if I prefer its predecessor, and pairing the two together makes perfect sense. Not to minimize Terry Burrows' extensive role in these recordings, but the set makes for an excellent snapshot of what Tietchens had been doing in the past, and what he would continue doing in the future.